If you're holding a grand wedding to impress your guests, then you've gotten it all wrong. A wedding is about YOU and your partner, and NOT your guests. They're the sidekicks, the spectators, the audience there to celebrate what is possibly the most important milestone of your life. 10 years ago, the average cost of a hotel table was less than $1000 but now, the rates have escalated to $1500 - $2000 on average. Isn't that scary? The inflation rate for weddings is about 10% every year (that hotel / photographer / makeup artist your friend used for her wedding 2 years ago might just charge you a lot more for yours next year), and so big grand weddings are no longer in fashion anymore. My generation just can't afford to keep up with the rising costs, period. The costs have spiralled a lot faster than our wages can keep up with. We're young and broke, but yet also crave for those Instagram or Pinterest-worthy weddings for our own. Well, there's a price to pay for pretty things, my dear. afraid of what others might say...don't be. 1. You don't have to drain your life savings / get into debt. 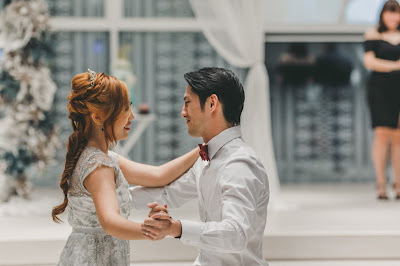 Holding a wedding banquet is the norm here in Singapore, but what most people don't realise is that many of the bigger hotels also require you to have a lot more guests to meet the minimum table number. I read about some couples who spend $50k - $70k on their wedding and I think, wow, I could never justify throwing away so much money in just one night. And if you feel the same way as I do, then you shouldn't feel obliged to have to host a big and expensive wedding just because it is the social norm. "But you'll cover back from the ang paos!" --> I'd rather be both realistic and conservative, so I wouldn't count on this. Not every couple covers back the cost of their wedding from the ang baos gifted to them by their guests. Often, it also depends on who you invite to your wedding, and when you have limited seats, it then becomes a dilemma of choosing between your friends vs. the ones whom you know can give you bigger ang paos (although for some, these two might not always be mutually exclusive). Thankfully I didn't count on the ang paos and was prepared to cover some of those whom I had invited, because in the end I had a handful of guests who gave $10 - $38 at my wedding despite the fact that their presence alone cost me close to $100 per person. If I had relied on the ang paos to cover my bill...I would have been in trouble. While there may be some couples who see their weddings as a chance to get their guests to pay, or even profit from their guests (!!!) for their celebration, but that's not me. If you can, keep your wedding limited to only the guests you want to and have to invite. 2. You don't have to feel compelled to make so many gown changes. For a typical banquet wedding, some brides have 3 - 4 wedding gown changes within that few hours alone, which I think is wayyyyyy too expensive. More gowns = more costs. You didn't think those gowns are for free, did you? 3. You get to soak in the fact that this big day is all about you and your partner. My husband and I at our (affordable) wedding, enjoying a romantic moment together during our first dance. One downside that comes with bigger-scale weddings is how you barely get any time alone with your other half. The bigger your party of guests, the more time you'll have to spend entertaining all of them. By the time your wedding is over, you'll both be so exhausted, or perhaps even too drunk to enjoy the rest of your day together. Since this day is all about the both of you, wouldn't it be nicer to spend share some intimate moments together, instead of running around saying hi to everyone else? 4. You get a lot more time for more photos! You'll be looking back on your wedding photos for years to come, so surely you would want to have more photos to reminisce with. 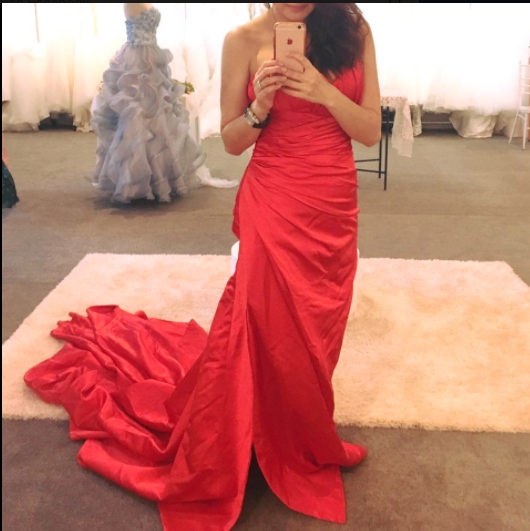 Plus, after having paid so much for your outfits and makeup, wouldn't you want to capture more shots for keeps? 5. 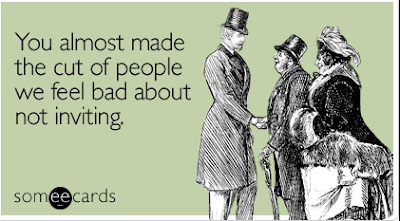 You don't have to worry about obligatory awkward conversations with people you barely know. It is common for parents to want to invite their colleagues and friends to their child's wedding - after all, it is an occasion of pride and they'll only be marrying off each child once! How do you feel about strangers at your wedding? Plus, if they don't really know you, will they be able to truly be happy for you and your partner, as compared to your friends and family who have seen you walk this road to get to where you are today? I doubt it. But I can also understand how it is also a form of respect to your parents when you end up having to invite their friends and families; after all, I went through the same experience myself. As much as you can, try to stand your ground, and come to a compromise on the number. A good rule of thumb I used was: if we / our parents hadn't met up with that person in the last one year, then they wouldn't be on my invitation list. 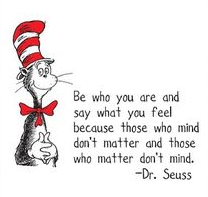 "Those who mind, don't matter. Those who matter don't mind." So to all you budget brides and couples out there, don't feel compelled to hold a big grand hotel wedding just because your peers are doing it, or because your parents expect you to. At the end of the day, remember that this wedding is all about you and your partner and NOT your guests. Before you splurge your entire savings on this one occasion, check if you can truly afford to hold such an expensive wedding sans your guests' ang paos (a good rule of thumb is to gauge the ang paos as just 50% of your costs). If you can't, remember that no one is going to help you clear your debts at the end of the day even if you've given them a great night to remember with good food to fill their stomachs. Go for what you want and can afford, and not what society dictates you to do. It's YOUR wedding, after all. I do agree with what you shared. I think that the dinner is gathering for your relatives and friends to witness your big day, so if the couple decide to go expensive, then their expectation should be to love their relatives and friends. Not expect them to pay for the expensive wedding. Only do expensive wedding dinner only when you are sure you can afford or you are already rich. Once you get through initial "I know what's best" attitude of the manager here, you will agree that - he DOES know what's best, and he does not treat you like just some paycheck. During my wedding here, the wedding venues wait staff was absolutely the best.